Dr Firas Al-Niaimi is one of the leading laser dermatologists world-wide, regularly sharing his wisdom with colleagues and medical students across the globe, and prides himself on staying ahead of the curve when it comes to emerging and innovative laser technologies. One of the most exciting new treatments Dr Firas is proud to offer at his Harley Street clinic is the Vbeam® Prima, which is highly effective at treating many skin concerns. Vbeam® Prima is a versatile treatment suitable for tackling a wide range of conditions, including reducing the appearance of rosacea, red scarring, port wine stains, red birthmarks, acne, warts. spider veins, benign pigmented lesions, wrinkles, or simply rejuvenating ageing skin. The treatment offers dual wavelengths, so the depth of treatment can be altered for more accurate treatment. In addition, Vbeam® Prima has a maximum spot size of 15mm, for more even delivery and faster treatment times for the ultimate efficiency for patients. Dr Firas is a pioneer of the Vbeam® Prima, and is incredibly proud that we were one of the first clinics in Europe to adopt this exciting technology here at Harley Street. To arrange a consultation for treatment with Vbeam® Prima, please get in contact. Vbeam® Prima is not a painful procedure, though some patients may experience sensitivity to the laser. 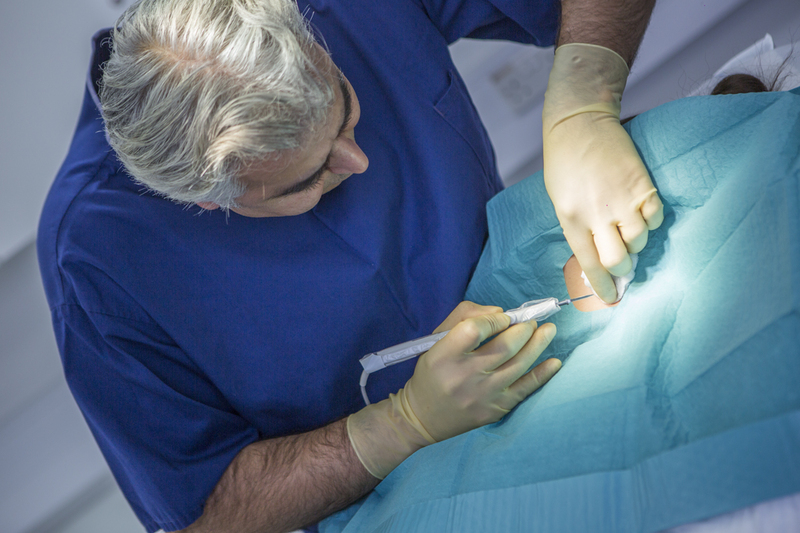 If required, Dr Firas can numb the area for increased comfort during treatment. Most patients are able to return to their daily routines immediately post-treatment. 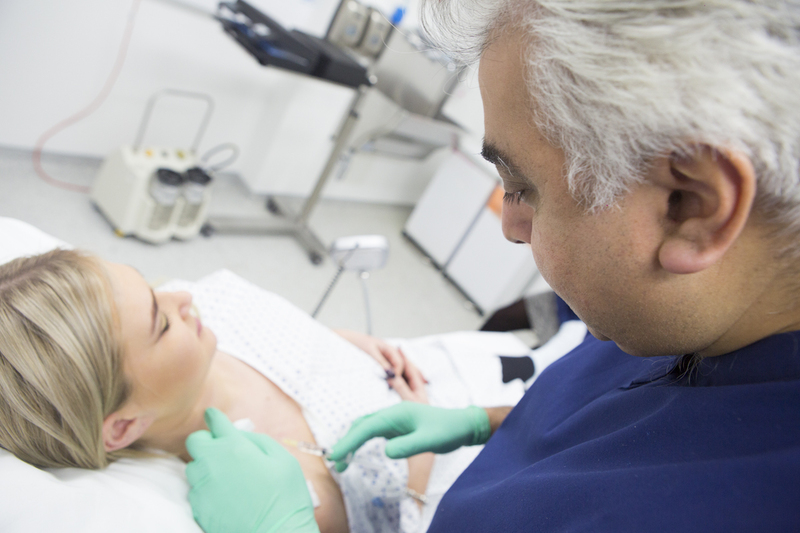 In-depth aftercare advice will be provided by Dr Firas, though unlike other forms of laser treatment, in some cases there are very little rules for patients to follow. It usually takes around a month for full results to be evident. Patients may experience some swelling immediately after treatment, and in rarer cases, bruises may occur. This usually subsides within 2 weeks. The number of treatments required will fully depend on what concerns the patient wishes to address. 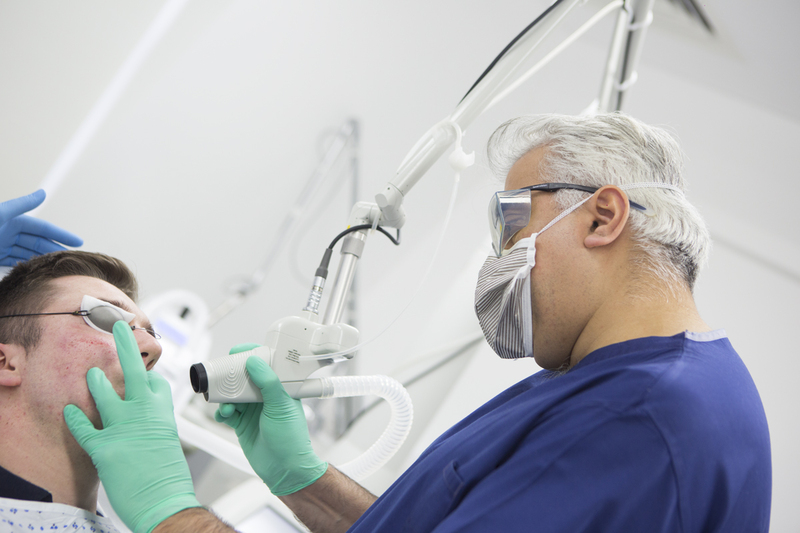 During your consultation, Dr Firas will be able to advise how many treatments to expect. Am I a candidate for Vbeam® Prima? Vbeam® Prima can be used to treat a wide range of aesthetic concerns, from inflammatory acne to leg veins, rosacea, scarring, stretch marks and wrinkles. Anybody wishing to eradicate redness in the skin is suitable for treatment. During your consultation, Dr firas will examine your medical history to ensure no contraindications for Vbeam® Prima treatment are present.